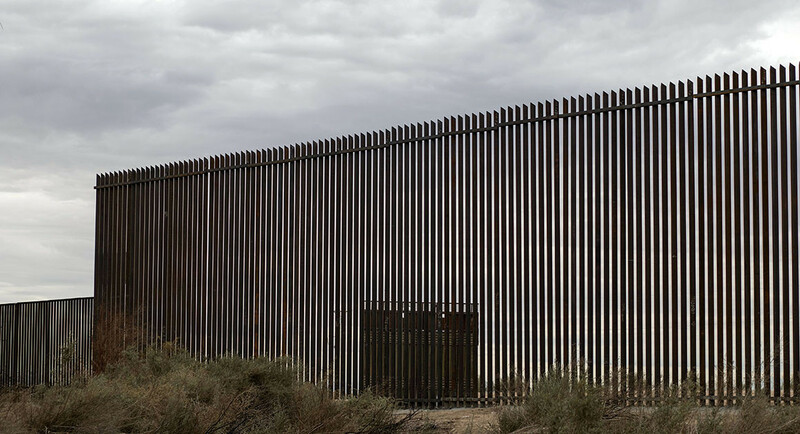 Breitbart: A Republican-Democrat House and Senate committee is planning to offer President Trump a border security package that could include less than a quarter of the $5.7 billion for a U.S.-Mexico border wall he originally requested. On Capitol Hill, House and Senate conferees were nearing an agreement that could offer the president between $1.3 billion and around $2 billion in funding for border security, a range, still subject to change, that could include some physical barriers and result in a deal as early as Monday. Talk of a wall has given way to “bollard fencing” and strategic placements. Mr. Trump has told allies he would grudgingly accept a figure of around $2 billion, but House Democrats remain publicly opposed to spending that much on physical barriers. It is still not clear how much of the final allocation would go for new fencing, according to three people briefed on the negotiations. Senator Mike Lee, Republican of Utah, told senators at a party lunch and in private conversations over the past few days that Mr. Trump had told him, “I can live with $2 billion,” according to a Senate aide who witnessed one of the exchanges. Trump needs to UP THE ANTI, to me this is like PLAYING POKER. what he needs to do if they come back with this BS OFFER? i would RAISE THEM A BILLION OR TWO. and every time they come with another stupid offer that ANTI GOES UP AND I WOULDN’T BULGE IF I WERE HIM, because he is dealing with SHARKS WHO DON’T KNOW HOW TO PLAY POKER, and i’d KEEP RAISING THE POT UNTIL THEY FOLDED. that’s HOW YOU DEAL WITH ACTORS LIKE THEM. I sure hope POTUS doesn’t accept a dime less than $2M and that is terrible within itself that the GOP can’t work at least a 50% deal. Our GOP is very, very weak in a time when we need strength to stand up against the far left Socialist! New York Times, he is PRESIDENT TRUMP, not Mr, Trump. All of you media people are so ignorant. If the President takes less than the $5.7 B he may loose some of his base. 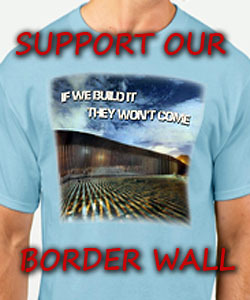 We don’t want the caravans to end up in the US so we have to support them. They have many diseases, and even steal from the very poor people in the border towns in Mexico. We should deport ANYBODY WITHOUT PAPERS TO STAY HERE, INCLUDING dACA AND THEIR PARENTS AND RELATIVES. While we’re at it, we can send Obama’s Syrian army back to their country too. Then Crooked Hillary can give the Haitians their money so they can go home too. THEN WE CAN START HELPING OUT OWN CITIZENS!!! THE DEMS ARE PLAYING WITH THIS PRESIDENT. I DO NOT THINK HE SHOULD TAKE LESS THAN $3 BILLION. IF HE TAKES 2 BILLION HE WILL BE GIVING THEM A WIN. AFTER HOW THEY TREATED WHITAKER YESTERDAY THEY DO NOT DESERVE IT. POTUS PLAYED THE ULTIMATE GOTCHA MOMENT FOR THE SOTU ADDRESS HE CANNOT CAVE HERE.